Once you stop looking on Craigslist, it’s hard to stop. 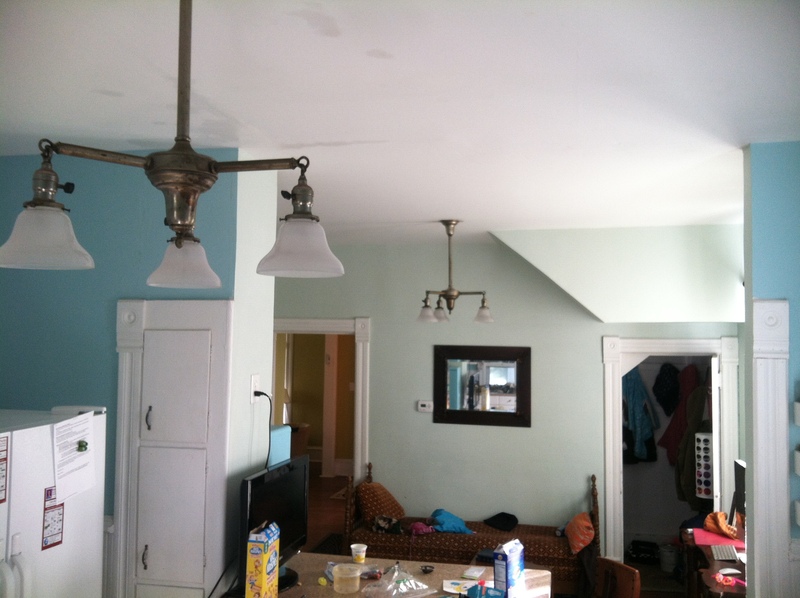 I came across an add for two matching lights from a house built in 1916. 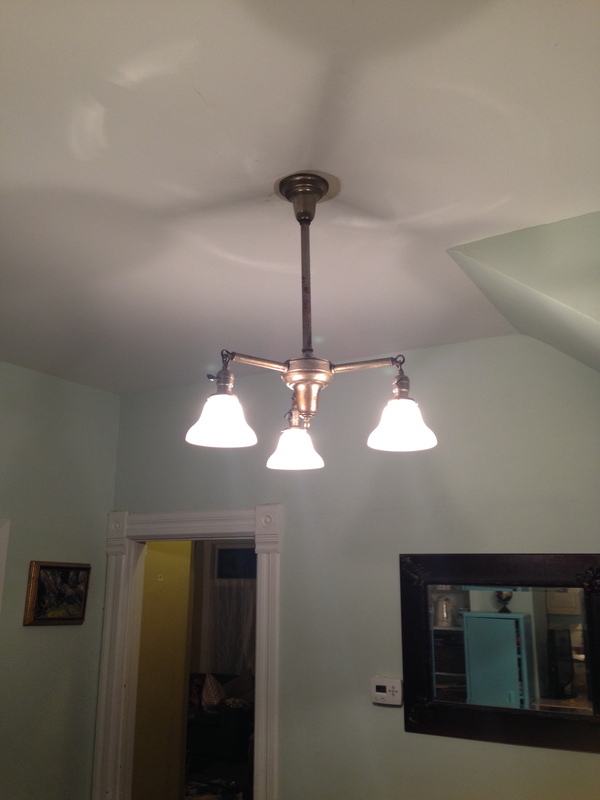 The house was in Iowa… about 3 hours away… but I was so interested in the fixtures, I contacted the seller anyways. It turned out his daughter goes to school only 45 minutes away from us, and was visiting him that weekend. She brought the fixtures back to school with her, and then we picked them up! They were very dirty, but cleaned up just fine with a damp cloth. I am not sure what the finish it- silver? Brass? Nickel? I thought about taking them into an antique dealer to find out, but I decided I liked the old patina as-is, and didn’t need to worry about the kind of metal it was, since I wasn’t going to be polishing it. My husband fell in love with them. 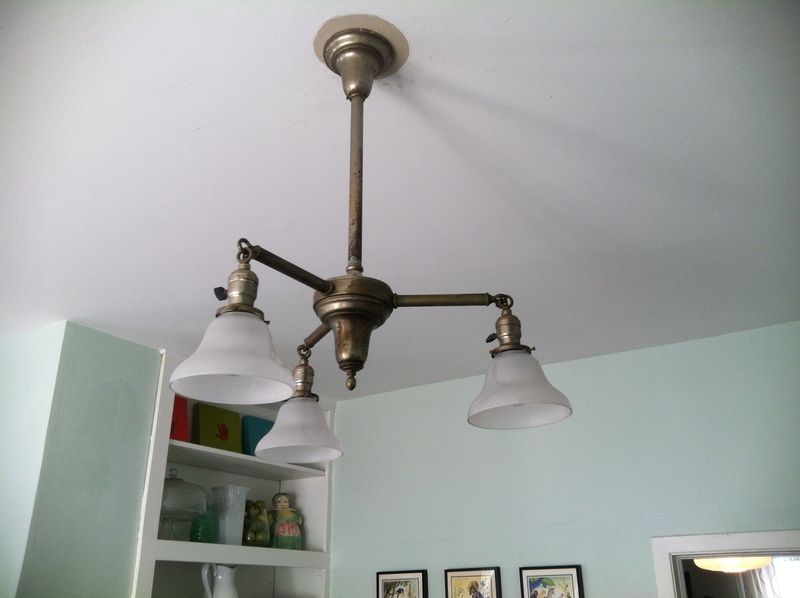 They are nearly 100 years old, but not too fancy, as some light fixtures of the day are. I love the clean, simple lines of them. Even better, they put out a ton of light, and instantly made the kitchen and keeping room look like a brighter and happier place to be. Another charming thing about these beauties is that each bulb has it’s own switch. A pre-dimmer switch solution, I’m sure.